I also hope it will bring me a better complexion, because between my bad skin, my acne scars, the post baby rosacea, and the melasma on my forehead, I am a walking wet-dream for any dermatologist! Soooooo, here I go looking for the best moisturizer for my skin, which means I will research it for a couple of weeks before I'll be ready to buy it. 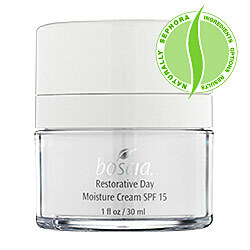 Preservatives (boscia contains none of the 150 industry-recognized preservatives – not just parabens – that can irritate skin and cause blemishes, redness, eczema and more). 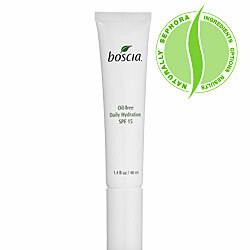 Boscia seems like a good brand with a great philosophy, and while I haven't tried any of their products yet, I think that I will very soon. And their prices are not prohibitive at all. Please feel free to share any of your experience with Boscia in the comments below.